Two back-to-back storms have brought more rain to Los Angeles in the past three days than has fallen in the past year–in some areas, twice as much. In Beachwood Canyon at least two trees have fallen, and one of them caused a power failure for some residents last night. There has been some flooding and a lot of mud, but today the Canyon looks green and fresh. 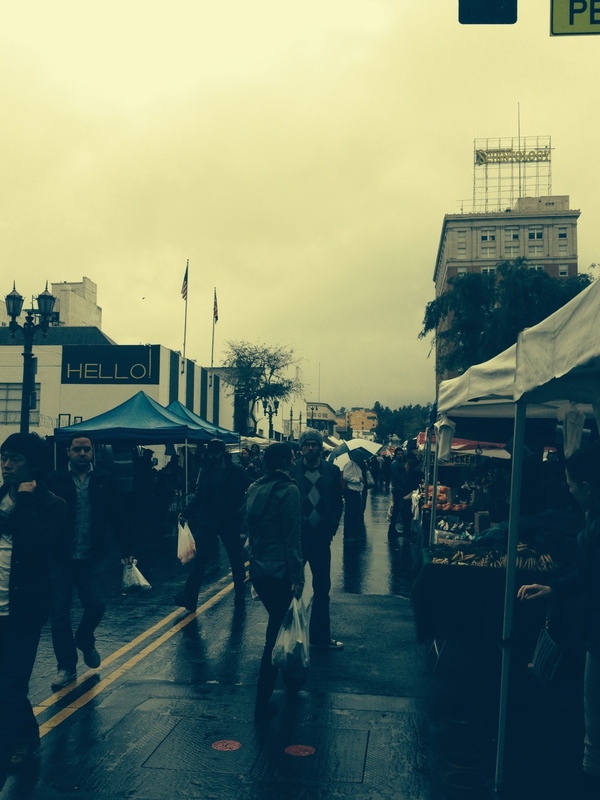 From the Farmer’s Market this morning the Hollywood Sign was invisible, shrouded in mist and clouds. Grey weather and intermittant showers have reduced the Canyon’s tourist traffic dramatically, since most people want their photos of the Hollywood Sign against a blue background. But while walking around the neighborhood a little while ago, I met a visitor from Antwerp who was undeterred by the less-than-ideal conditions. It was his only day to see the Sign, and I was glad to direct him to a good–and no doubt uncrowded–spot for picture-taking. You are currently reading After the Storms: Oscar Sunday in Hollywood at Under the Hollywood Sign.